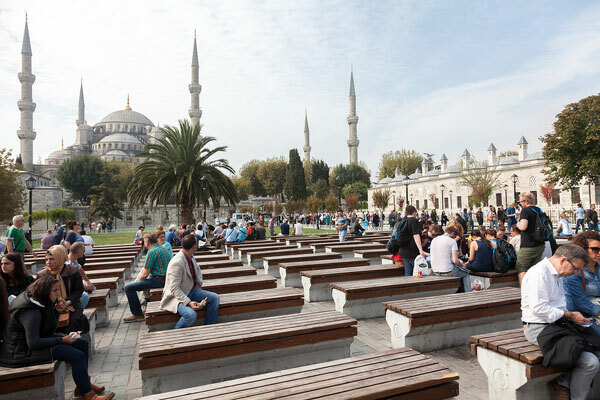 The number of travellers visiting Turkey from the UAE is on the rise, going up 11.28 per cent to 3,975 in the first two months of 2019, according to the data released by the Turkish Consulate General Cultural and Info Office in Dubai. Turkey is one of the largest outbound tourism markets for people living in the Gulf countries. In February 2019, around 1,670 million international tourists visited Turkey, which is 9.38 per cent more compared to the same period in 2018. The number of Bahraini, Kuwaiti, UAE nationals visiting Turkey recorded a 24.7 per cent growth to 515,315 in 2018, up from 413,210 tourists in 2017. This is higher than the growth in international visitor arrival numbers – 21.4 per cent increase in 2018 to 46.11 million – highest in the country’s history. Tourism revenues increased 12.3 per cent reaching $29.5 billion in 2018, in comparison withS$26.2 billion the revenues collected in 2017. Salih Ozer, attaché of Culture and Information, Turkey to the UAE, said: “Tourist flow from the GCC countries to Turkey continues to grow and I am happy to see the growth trend continues this year, despite headwinds in the global economy." “Turkey and the Gulf countries share centuries-old social, cultural and economic ties. The repeated visits of the friendly visitors from the GCC countries help fuel the growth of our economy,” he said.